In the past, entrepreneur Elon Musk has described a "neural lace" that could add a symbiotic digital layer to the human brain. In the future, it seems, he'll try to build that device through a new company, Neuralink. "He hasn't made an announcement, but Neuralink registered in California as a 'medical research' company last July," the Journal said. Hours later, Musk confirmed the company's name — but little else — in a tweet. More details, he said, would come in a post on the Wait But Why site, which specializes in long-form, visually rich explainers. With few details made public, speculation about Neuralink centers on the name and how it might correspond to Musk's previous statements about incorporating artificial intelligence, or AI, into human brains. The idea of a brain-computer link has been a theme in Musk's tweets, and the topic also came up in a lengthy Recode interview last year, when he spoke of how humans are already becoming cyborgs, thanks to smartphones and other devices that give us nearly immediate access to information. "But the constraint is input-output," Musk said. "So, we're i/o-bound." 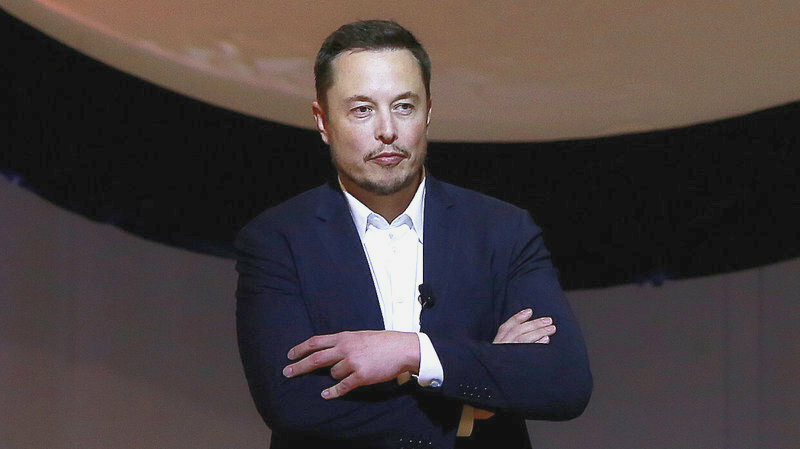 Laying out his idea, Musk said, "Effectively, merging in a symbiotic way with digital intelligence revolves around eliminating the i/o constraint. So, it would be some sort of direct cortical interface." And he added that such a "merging" would not require surgery but could instead be accomplished by going through veins and arteries — "because that provides a complete roadway to all of your neurons." Such a project could be life-changing for people who suffer from neurological diseases and injuries. In addition, Musk has said, enhancing people's brains could allow humanity to avoid becoming the equivalent of "a house cat" after AI surpasses us — a development he said was just a matter of time. On Tuesday, Wait But Why's Tim Urban posted a short update to its series of collaborations with Musk, saying, "So there's this secret thing I've been secretly working on for the past few weeks and it was a secret." That has changed because of a leak, Urban said. But, like Musk, he provided few details and promised they would come later. "It's a really extremely cool company and I can't wait to tell you about it. I was given the lowdown about it earlier this month and have been rapid-fire learning ever since. Turns out the brain is obnoxiously not simple." The issue with the CIA experiments is they required the subject to be in close proximity to scientists and the reach of the project was limited to a small number of individuals within range which is where Dr Jose Delgado of Yale University come in. Dr Delgado was the pioneer of electromagnetic mind control and released a peer reviewed report entitled “Physical Control of the Mind: Toward a Psychocivilized Society” which stated that it was possible to control human movements, glandular functions and specific mental manifestations using electromagnetic stimulation. Congress denied the funding request but his work was subsequently funded by the Office of Naval Research. The reach of HAARP is larger than initially feared. Snowden papers reveal that the EM signal produced by HAARP and other mind control weapons can now be relayed through cell phone towers thus extending the reach of the signal from a confined targeted area to the entire population. We are in a new era of scientific weaponry. Your mind may not longer be your own. The evidence is out there, dig deeper!! The Illuminati/ global elite is feeling the ground shaking under their feet and is desperately advancing their schedules for the full control of the human mind. They are buying up super-minds at ANY cost to run their mind-control projects with ULIMITED funds.